Includes summer and winter ORV use areas. *The following routes do NOT require a JBER iSportsman Recreation Pass for nonconsumptive use (e.g. 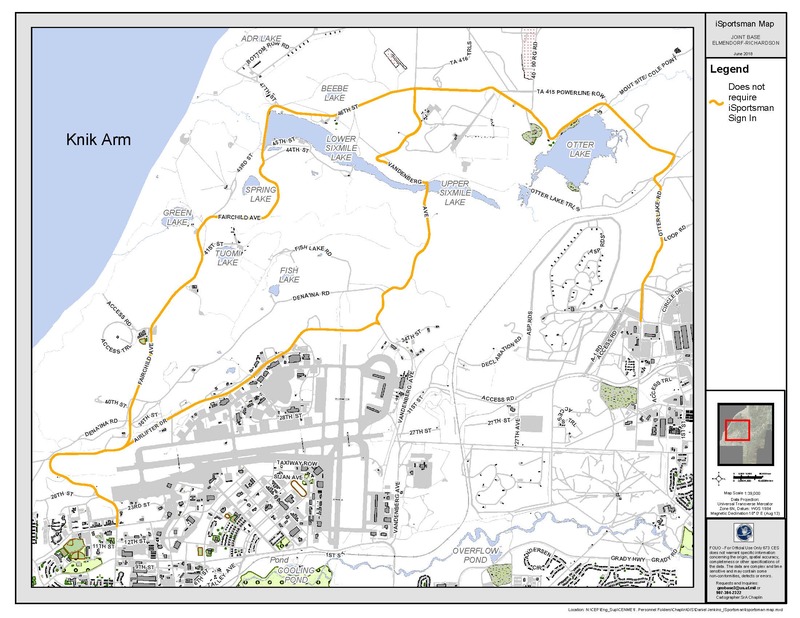 bicyling, hiking, running) that occurs within the roadway: Fairchild Ave, 46th St, Vandenberg Ave, Airlifter Dr, and Otter Lake Rd from the Fort Richardson Main Cantonment to the intersection with 46th St and Vandenberg Ave. CLICK HERE for a map of these routes.